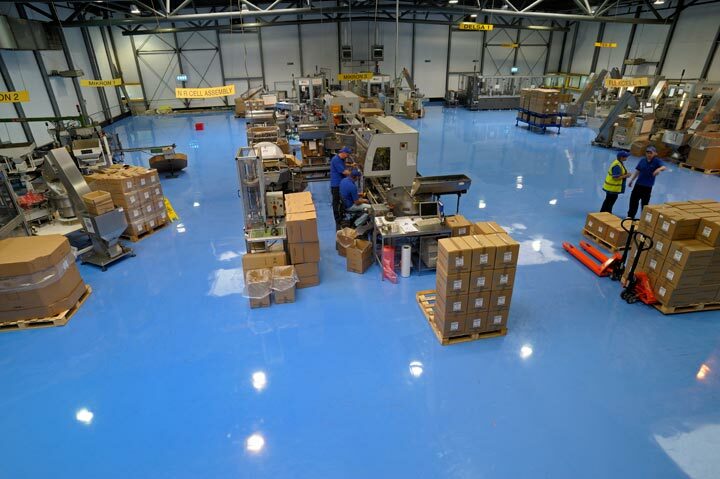 Based on the Old Mill Park Industrial Estate in Kirkintilloch, Glasgow Guala Closures is a world leader in the production of non-refillable and aluminium bottle closures. 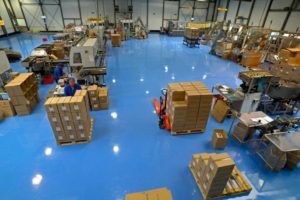 Guala Closures had a dated assembly floor which had old, worn vinyl floor covering that was in serious need of an upgrade. Their brief was for us to remove all existing floor coverings and provide an eye catching industrial floor which was capable of handling heavy traffic whilst being easy to maintain and enhance the working environment. 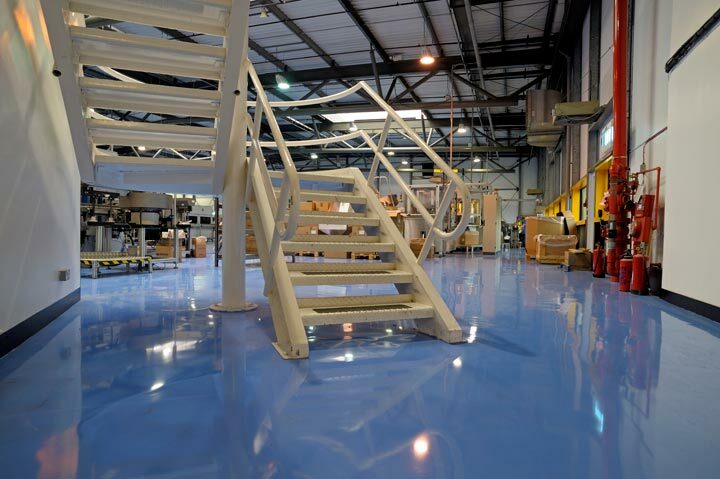 IFT supplied the client with a full range of possible options with them settling on Flowcretes Flowshield SL. 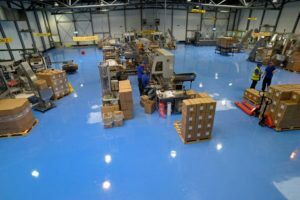 Our works involved firstly removing the existing vinyl and latex, fully preparing the exposed substrate before proceeding with the trowel application of 1,053sqm of Flowshield SL. 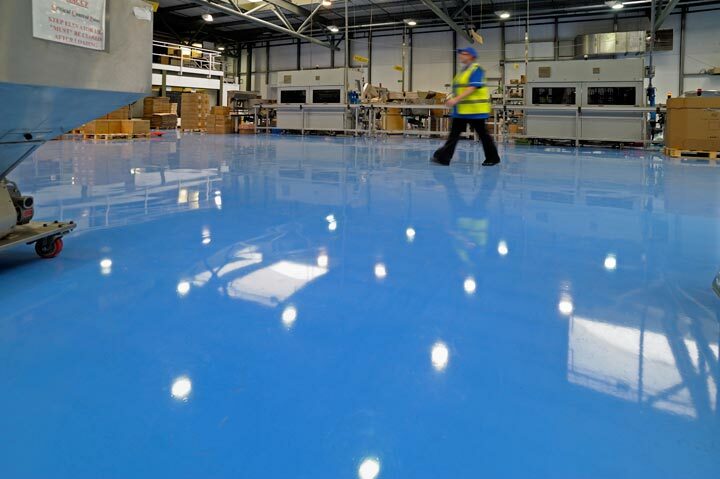 The self levelling floor was installed throughout the assembly area in a stunning bright clipper blue colour. 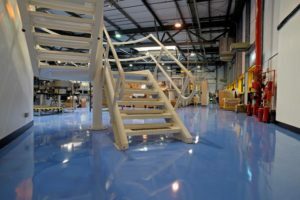 The industrial standard resin flooring is ideal for production areas being seamless and easy to clean whilst delivering a beautiful finish which can withstand all the pressures of this manufacturing facility. All our employees have been impressed with the floor and I would like to thank your team for a job well done and carried out very professionally.